Last November I embarked on an ambitious journey - one blog post every work day for the month of November. You can read all about it in my post from last November, and I have decided to do it again this year! This is where I need your help. I am looking for ideas. Last year I wrote about some general education topics, but focused on small tech tips. Do you have a burning question? Is there something you would like to learn or know more about? I might be able to help! Give me some suggestions on this form. Today the learners in Ms Signer's class were at it again - and this time they launched their prototype to an audience. Based on my feedback in the practice launch the students finished their prototype and had rehearsed their 3-minute pitches. They were ready to go and the energy in the room was clear. 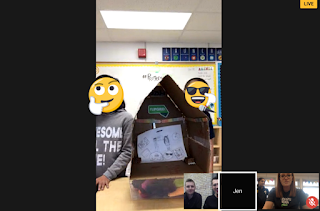 Their audience included not only me, their classmates and their teacher, but also their principal and Joey and Adam from Flipgrid! Each group was invited up to the camera and pitched their idea to the crowd. Ideas included twinkle lights, (still) lots of cardboard, and even an orca shaped idea! They had done research about colours that motivate and the size of the box that would best fit the area of the room. They even did some on the spot math to figure out fractions! The showed their models and then they received feedback from the Flipgrid team as well as the principal and me. I will say that their ideas are still VERY ambitious - as the ideas of 10 year olds often are - but their passion matches in strength. After their pitches we took it to a vote. Each student voted for the model their felt they would want o build and work in in the class. 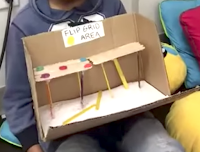 In the end their was a tie, and after conferring with the principal, they decided to combine the two ideas, plus some ideas of the second place prototype to make the best Flipgrid area they could. The students realised that the ideas needed to iterate - and I love that since it is the essence of design thinking. 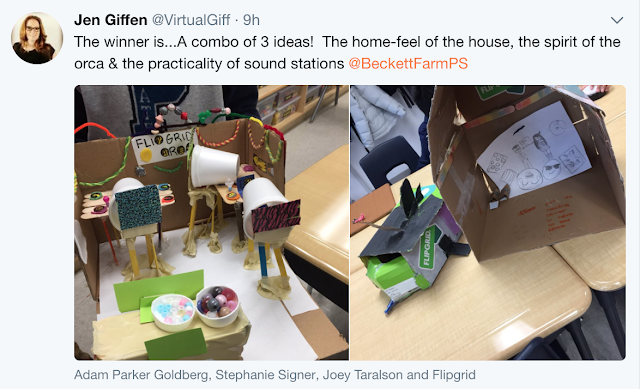 The students have the task of building - and I can't wait to see how the challenges they face in building further the iterations of their ideas. 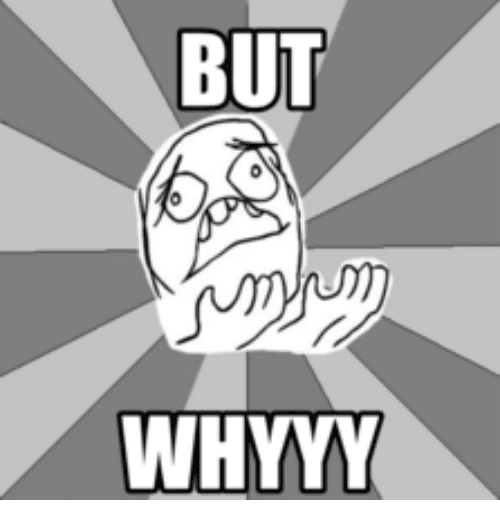 So on to building phase and really...now we start the cycle over again! Yesterday I went back (via GHO) and visited Ms Signer's gr. 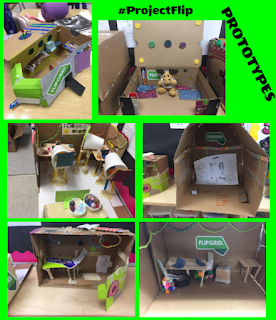 5 class to see how their #ProjectFlip prototypes were coming along. Many has started but were not done...and that gave me the opportunity to give some great feedback. It also meant that there was no time to try out prototypes...but that is OK since they decided to build small models of the prototype and vote on one after the pitches to build as a whole class. The students each gave me a mini, unstructured pitch and boy they had BIG plans. Their plans involved a lot of cardboard! 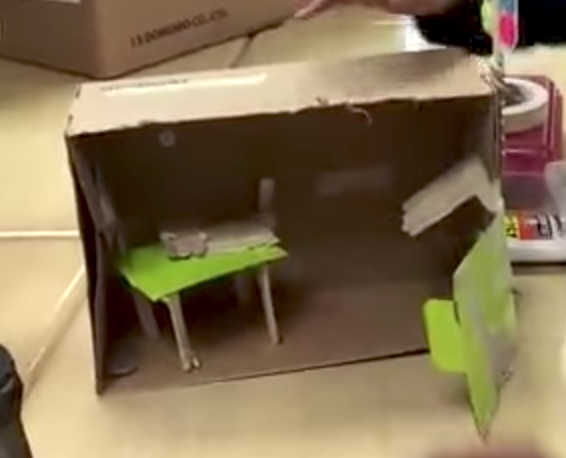 One group hopes to build a box that 5 people can sit in at one time!! Many spoke of fairy lights (I reminded them to ensure there was enough light to see the speaker), and I loved how many said they were going to post words of encouragement in their area to give people confidence when they record. 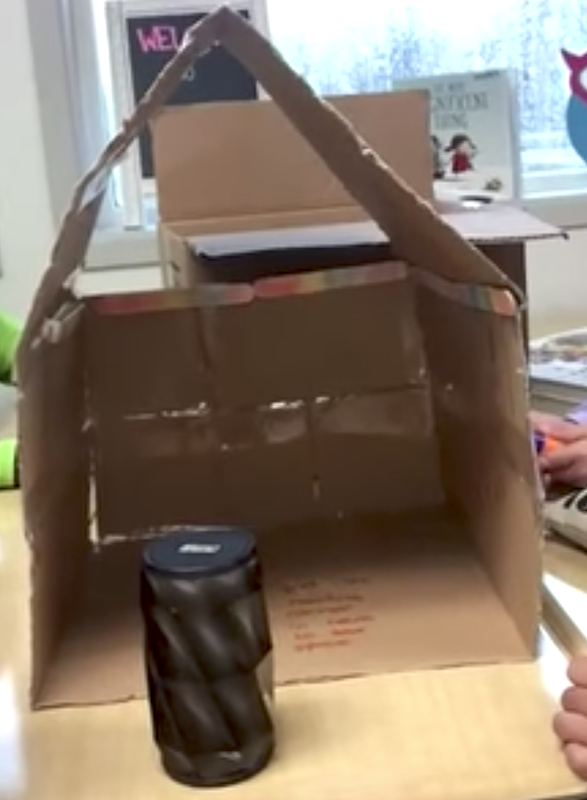 I had a lot of questions about how they would get all the tech they were hoping for - one group spoke about a surveillance camera in their box so teachers could see what was going on inside. I reminded them that their first ideas might seem viable, but when it comes time to build to remember what we read in The Most Magnificent Thing...sometimes you need to pivot from the original plan. The big cardboard boxes might be difficult to build, unstable, unsafe, or too big. I reminded them to have a fully built (but small scaled) prototype for next week and suggested they use dolls/stuffed animals to represent people. We talked about the power or rehearsal and ensuring that everyone in the group talk at some point. Provides Video Quality, including has a flat, stable surface so the video is not shaky. A statement about why your idea is the best idea. How do you stand out? I also told them that next week for their actual pitch, we would have a special guest join us from Flipgrid - User Engagement lead - Adam. Given them an authentic audience really excited them. So next week it the big day! Pitch time! Stay tuned. While it is not perfect, there is a way for people to track changes in Google Docs. The imperfect part: one needs to go into the doc to see if changes have been made. 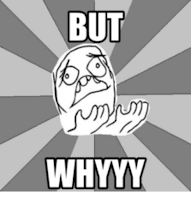 BUT...once one is in the Doc, they can access the changes quite easily. 1) Give students Can Comment access. (An easy way to do this in batch on an EDU is by going to the parent folder that contains all of the feedback Docs and click the link button on the top right…change it to Everyone in the [EDU domain] Can Comment instead of Can View. Save your changes. 2) Tell students that now, each time they log into the Doc, they will be a grey box along the File Menu that says See New Changes if changes have been made since their last visit. 3) When they click See New Changes, all changes will show up highlighted AND if there are multiple changes you can see how many changes were made and scroll through them all….great for longer Docs. Nee content is highlighted and trackable. I hope this helps foster rich digital discussion with your students - and helps you track changes in Docs you might be working on with teams!